Another friend of ours who likes to party on Saturday, we have the Saturday party king,…. For other uses, see Baron Samedi (disambiguation). 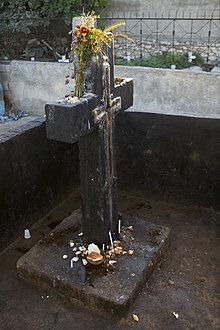 Baron Samedi (English: Baron Saturday) also written Baron Samdi, Bawon Samedi, or Bawon Sanmdi, is one of the loa of Haitian Vodou. Samedi is a loa of the dead, along with Baron’s numerous other incarnations Baron Cimetière, Baron La Croix, and Baron Kriminel. He is syncretized with Saint Martin de Porres. He is the head of the Guédé family of loa. His wife is the loa Maman Brigitte. 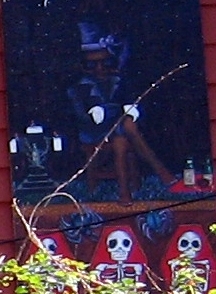 Here is a Charity that we believe honors Baron Samedi, please honor this shrine via this charity.